Team 1527 became the first C Team in Wesleyan Mock Trial’s history to earn a bid to the Opening Round Championship Series. 1527 went 6-2-0 and placed fourth at the Princeton Regionals. 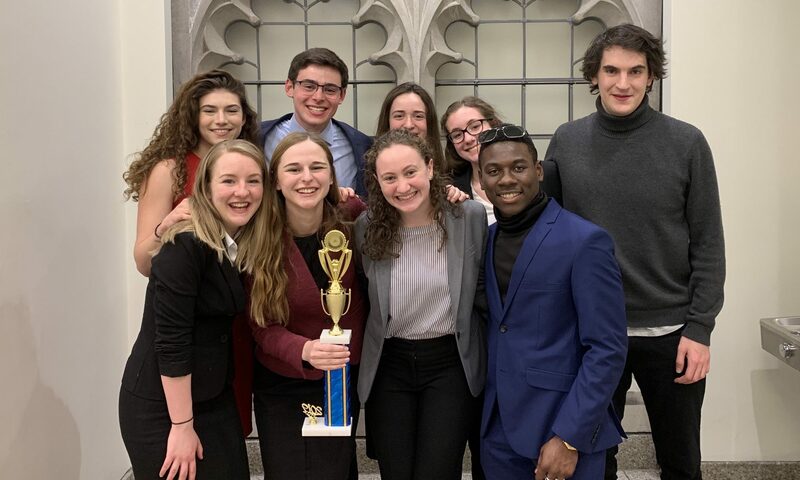 American Mock Trial Association rules only allow for two teams to compete at ORCS, but 1527 demonstrated its dedication to the team and the activity by working hard to earn a trophy regardless. 1527 was made up of almost entirely new members and coached by Wesleyan Mock Trial alumnus Nathaniel Warner ’17. Full results here.